When Google sends out its spiders to crawl the interweb, the spiders (most often called crawlers) pick up on headings and report them back to the Google search algorithm. Big letters on a page does not mean it is a title. The spiders are blind to all the cosmetics on a website and only recognize certain heading codes. Use the h1, h2, h3, h4, h5 tags to specify the heading and the subheadings. You shouldn’t run into any issues if you keep these in mind. Most website editors do this automatically. Make sure you are using your relevant keywords in the titles, however do not overdo them or use long forceful sentences. 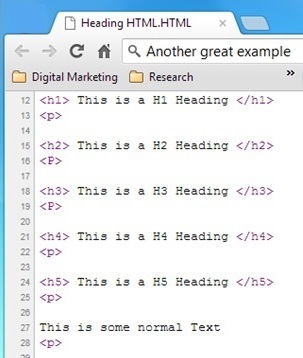 Figure 2: HTML code view of Heading Tags. The H with the follow number inside the < > are the heading tags. The <P> is used to specify the next paragraph. People often browse web pages by skimming the headings generally before beginning to read the actual content of the article. So not only will improving your headings be beneficial to SEO, it will also give your website stronger chances of being viewed and read. Below are some considerations for making sure people won’t miss out on your important information, and then become enticed to read more. · If you’re about to describe a service, does the heading include a goal-orientated outcome? Eg. ‘How can I save time to hire?’ these kind of “I” and “my” statements are also more commonly typed into Google! · Does the title make sense in relation to where they have most likely come from? If you have a link on your home page for “opening hours” then your opening hours page should reuse this text. If your headings can represent the core benefit of what reading the page will bring to the user, along with the above you’re doing your content a favour! 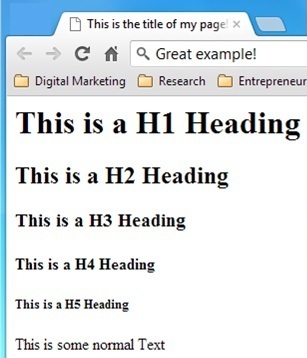  Use just one H1 tag per page. Google gets confused easily. Remember the formality behind your brand and your typical audience when making title decisions. You wouldn’t pair big promotional or extremely cheap sounding terms if you’re trying to get across a feeling of a premium or high quality option. After addressing the main reason behind why they’re there and core benefits in H1, think about common terms that people look for especially if you have a lot of text. To help guide them to what they need to know you may use simple titles like “contact details,” “open times,” “prices,” and “book now”. Now you have some great tips to get your pages starting to perform! To achieve specific SEO outcomes for your website please feel free to talk to one of our specialists, ring 03 9670 4275 or email info@psychpress.com.au.